The Richness Of 'Poor' Places, From National Geographic's Photo Contest : Goats and Soda The pictures capture racing buffalo in Bali, climbing kids in Burkina Faso and high-wire electricians in Bangladesh. 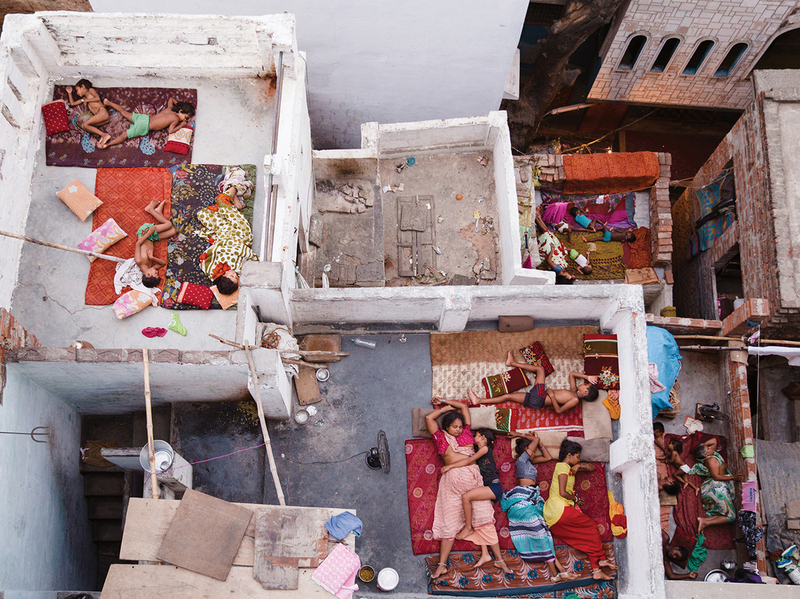 Families sleep on rooftops in Varanasi, India, to escape the summer heat. 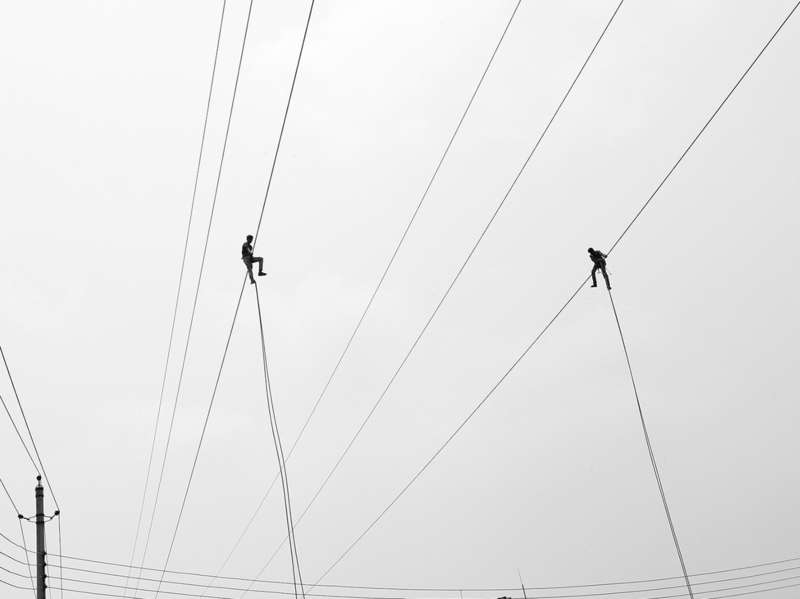 When you think of daily life in the developing world, what do you see? Do you see the fierceness of a buffalo race in the jungles of Bali? Children climbing up a clay minaret in Burkina Faso? Families laid out like jewels across rooftops in India, searching for a respite in the summer heat? With images like these, National Geographic's annual photo contest is changing our impressions. For the past five weeks, National Geographic editors have highlighted top entries on their website for the contest, which is divided up into people, places and nature. The deadline for submissions is Nov. 18; the grand prize is $10,000. Our favorite photos from the contest so far illuminate the complexities, joys and frustrations of life in the developing world. Take a look at the pictures below, and if you're feeling inspired, enter the contest yourself. Note: The captions were provided by the photographers and were edited for length and clarity. 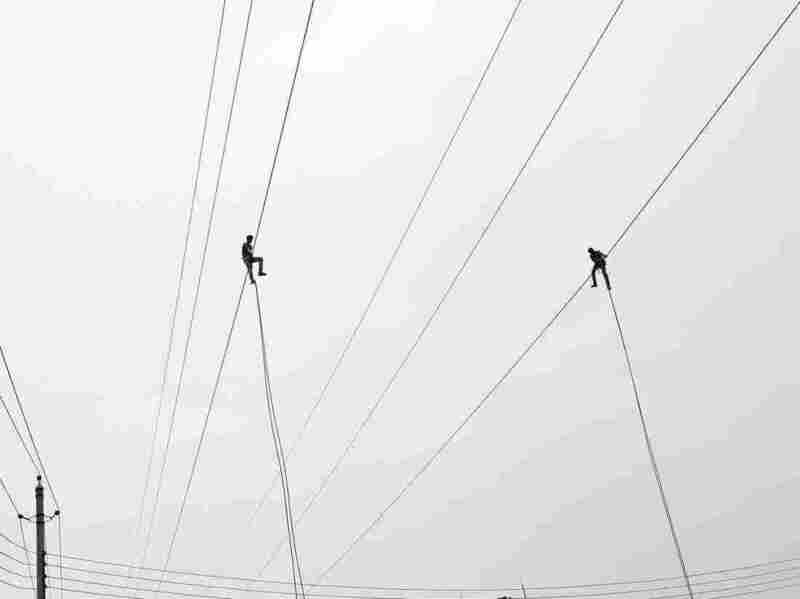 Electricians work on a high wire in Dhaka, the capital of Bangladesh. 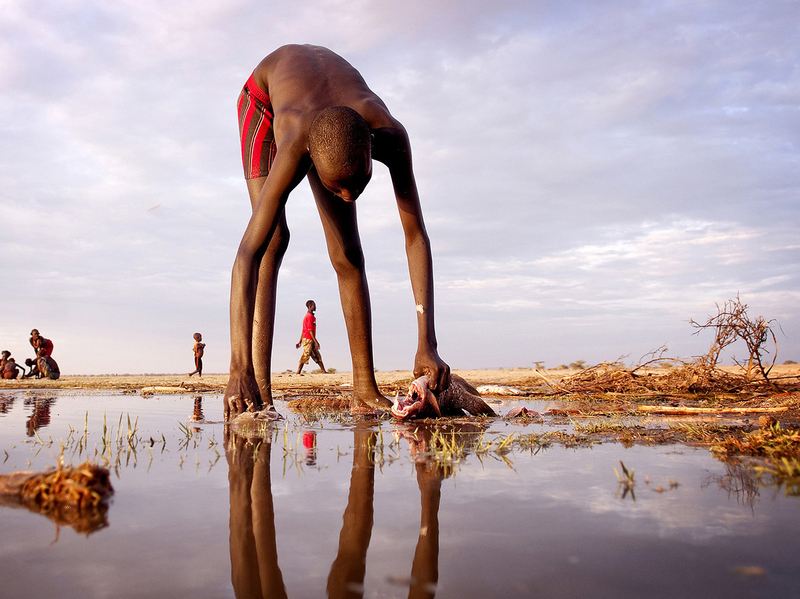 A Daasanach fisherman guts and cleans a fish on the eastern shore of Lake Turkana near the border of Ethiopia and Kenya. 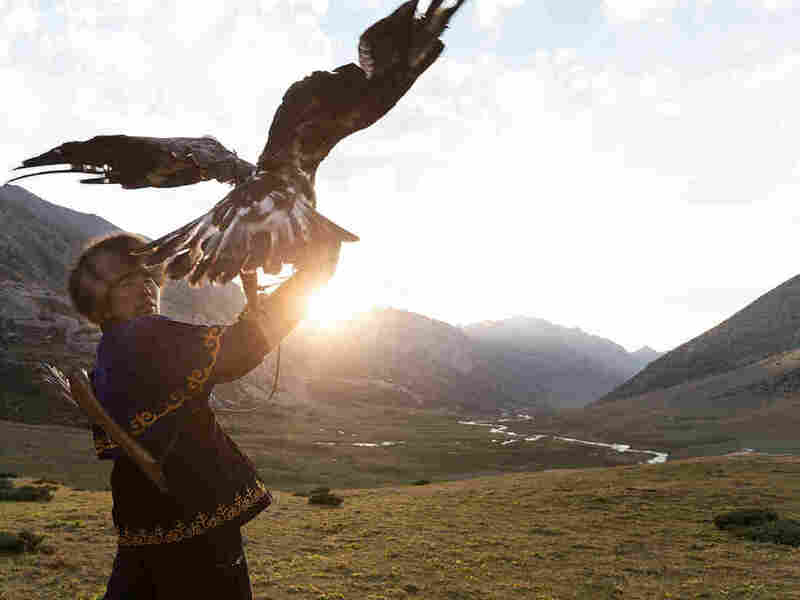 High in the mountains of Kyrgyzstan, the vanishing art of eagle hunting is practiced. Enthusiasts capture hatchlings, then teach them to hunt. 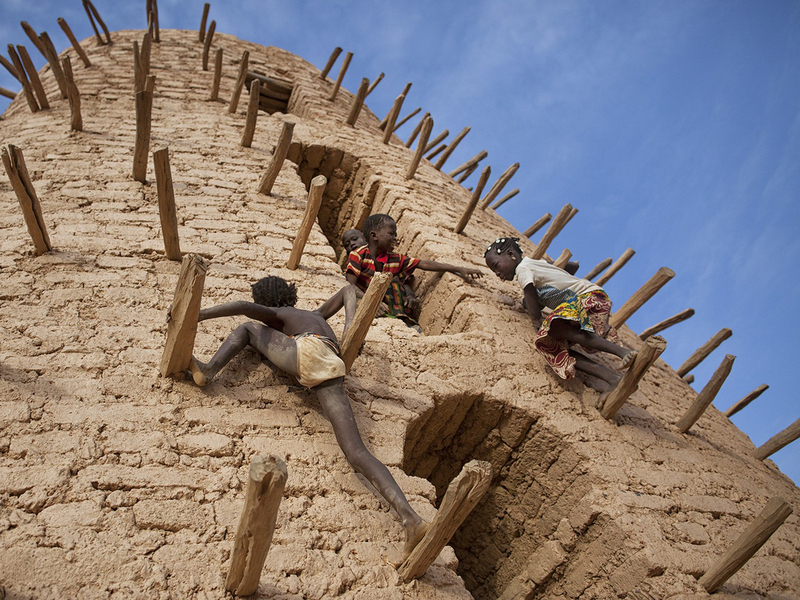 Friends play on the main minaret of the Grand Mosque in Bani, Burkina Faso, during the Muslim holiday Eid al-Fitr. 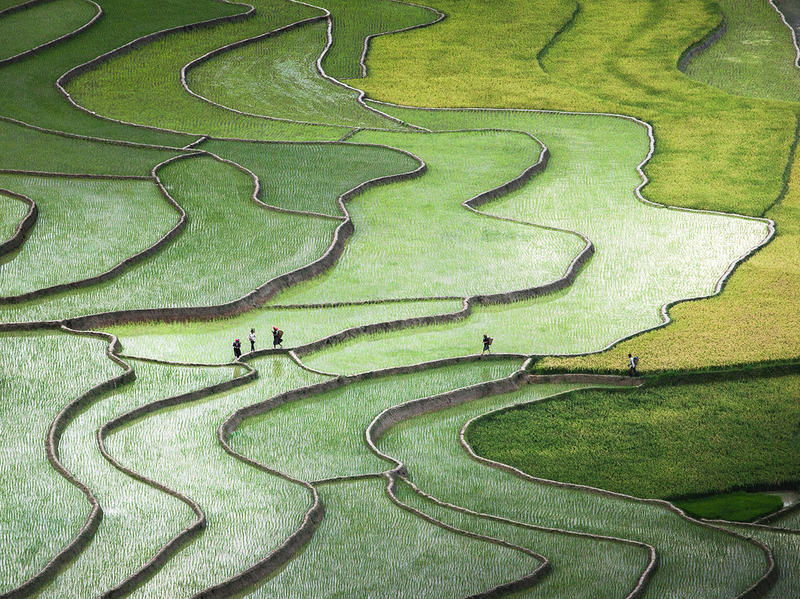 At the terraced rice paddies in the Tu Le Valley of Vietnam, the Hmong people cross the fields on their way home. 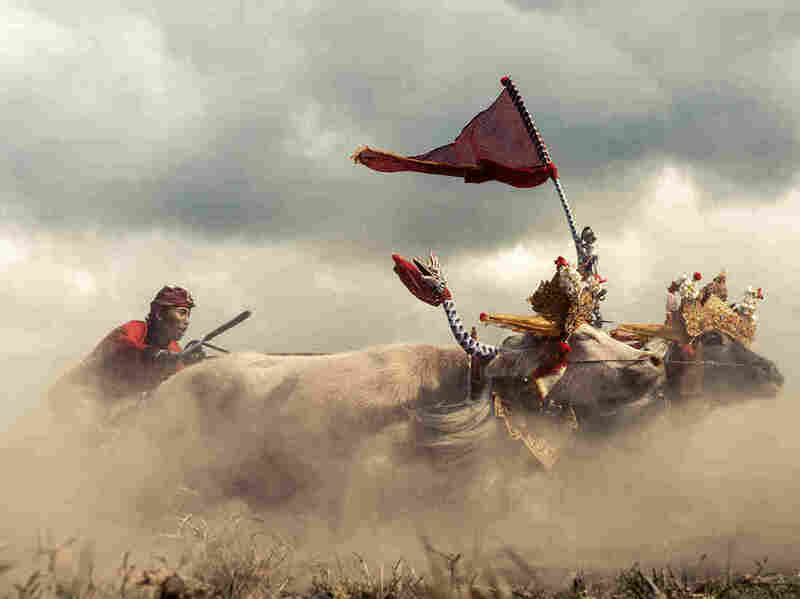 Jockeys ride wooden plows in the traditional sport of buffalo racing in Bali.